By the way, recently you can find many unique sake that are out of our thought. Today we'll show you about quite different "taste and package " sake! Lots of sweet and smoothly sake, sake with fashionable packages!! The image of sake you have might be changed. Takarashuzo which brewed sparkling sake Mio has started in 1842 at takenakachou Fushimi Kyoto. Yomo family that started with the brewer got a sake brewing permit. In 1920, Representative sake, Sho Chiku Bai was registered as a trademark and they have been making top quality sake since that year. A truly traditional sake brewery. Turning point year was 2011. Sho Chiku Bai - Shirakabegura tries to make sake popular among consumers who are not familiar with sake. This sake completed at the end of period of trial and error and called Mio. Because of the birth of Mio, a new market sparkling sake has been established. This sake is suitable as the beginning of "Changing the image of sake" which is the main theme of this article. 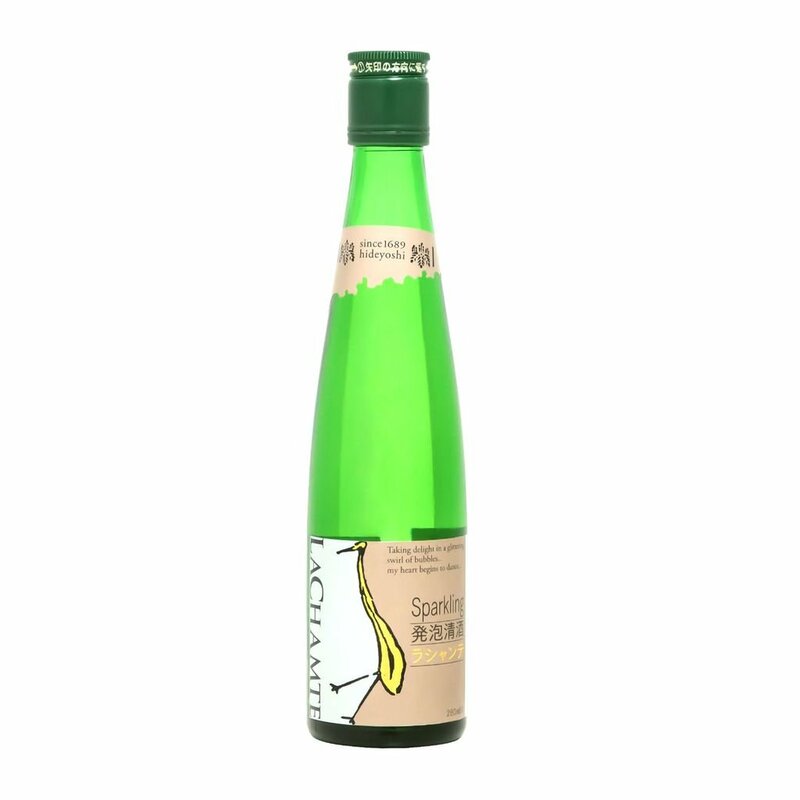 Mio sparkling sake is a sake just like champagne which taste delicious with fresh ham or fruits. This sweet and fruity flavor sake is also for the person who doesn't drink sake. This sake contains little alcohol by that it is easy to drink like juice. So watch out! Don't drink too much!! Suzukisyuzo is a brewery with a long history of 320 years dating back to 1686. A regular sake such as Daiginjo Hizoshu is quite popular. The package of this sake is looking modern! By the way, this time we'll show you unique sake. LACHAMTE a regular sake with a taste not like sake. The name is also fashionable! This sparkling sake is brewed only with Akita Komachi(rice)100% and ground water from Mount Ōu . The color is a beautiful gold. You can taste an elegant sparkling sweetness and just like champagne! New sensational sake so that you might think "Why would such a taste only come from rice?" You'll enjoy refreshing feeling of sparkling. Kamoizumi-shuzou is a brewery established in 1912 at Hiroshima. Kamoizumi-shuzou is a pioneer of Junmai brewing. Junmai is sake made only with rice, koji and water as is the original brewing method of sake. Although "Sanzo-shu" which mixed with brewed alcohol was popular sake at that time. 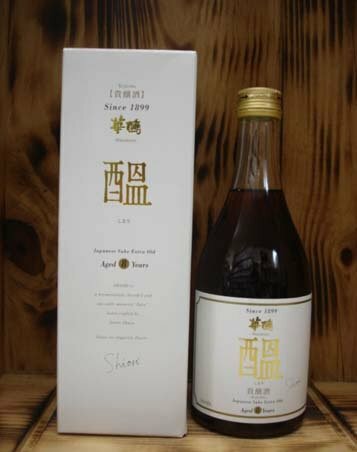 "Daiginjo - Kōju" from Kamoizumi-shuzou won a gold medal of The Fine Sake Awards Japan. This time we'll show you "COKUN." Sake that was made by an expert of rice. The wonderful pink color is not come from coloring but due to the natural red color of yeast. Sake with alcohol contents 8% mild sour sweet taste just like fruits. This sake also got Grand Gold Medal of The Fine Sake Awards Japan. Not only looking good but also the taste is well appreciated. "COKUN＋" sake added rice power extract that good for beauty and health is also recommended. This sake must be good for girls' night. Do you know about "Kijōshu"? For brewing Kijōshu use sake instead of water. This time we'll show you about quite sweet Kijōshu with sake meter value -44 "Hanahato Kijōshu 8 years" that well-aged more than 8 years at brewery. This sake got 6 times gold medal Sake Awards koshu (well-aged sake) section at The International Wine Challenge ( IWC ) . This sake is popular among Japanese and also by many in other parts of the world. A highly respected and evaluated sake in the world. 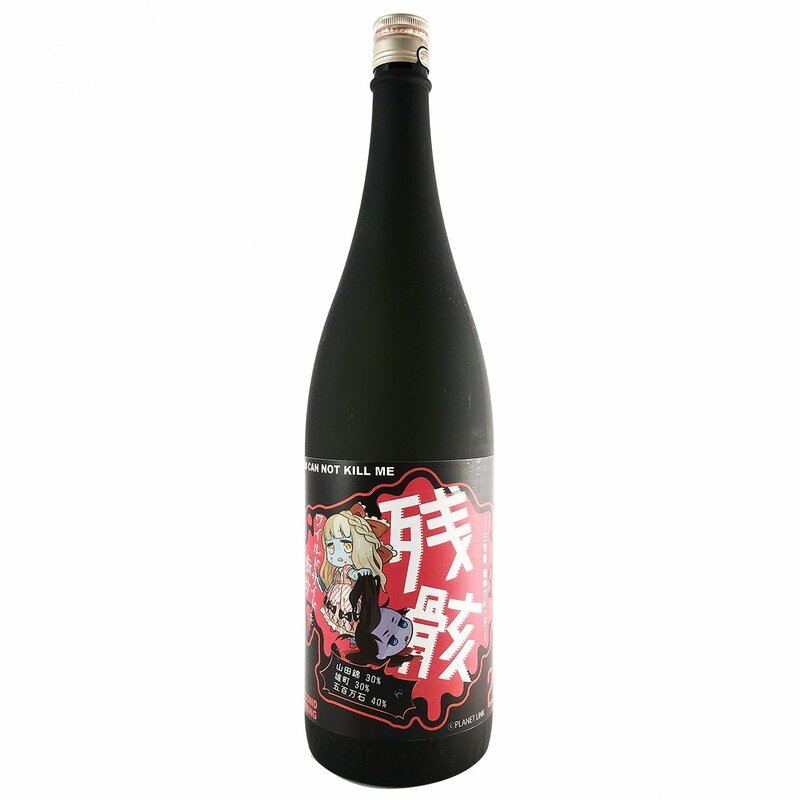 The charming point of this sake is a fascinating taste due to the long-term and well-aging of more than 8 years just like Sherry or Shaoxing wine. Thick, rich taste. So that you can eat vanilla ice cream by pouring sake. So this desert sake is also for sweets lovers. Fukunishiki started sake brewing in 1839. The origin of the name "Fukunishiki" is happy word "Fuku "and "Nishiki" from Autumn leaves of Hokkesan Ichijō-ji temple which is located near the brewery. The tradition of brewing sake is handed down generously and since 1992, they only brew Junmai-shu. In 1996, they decided to use rice to make sake only from local Kasai city. So at the present time, all rice for brewing sake comes only from Kasai city. 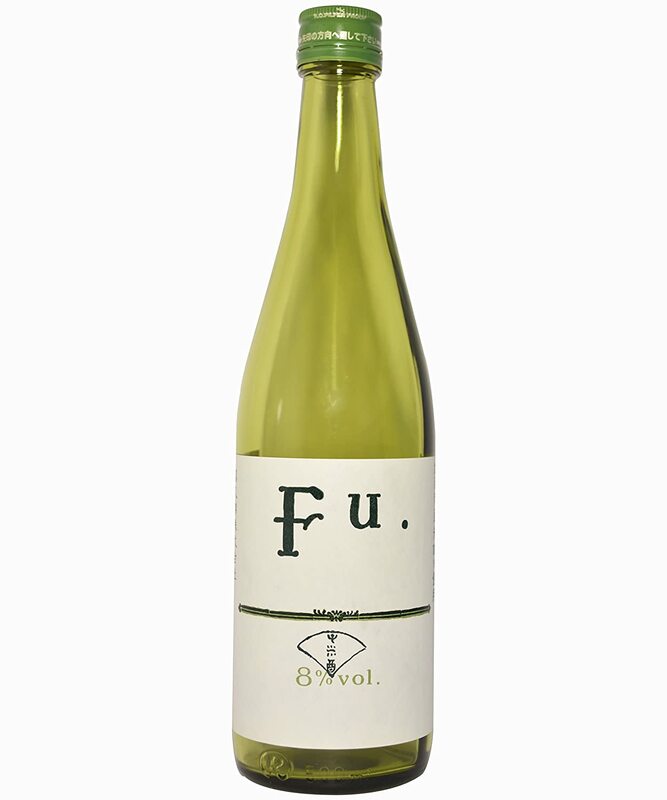 This time we'll show you sake "Fu" which tastes sweet just like fruits. Though they don't add fruit juice. You can taste natural flavor from rice. The characteristic point of this sake is that it tastes like a low alcohol white wine. When you drink chilled sake, you will taste fresh and sweets. When you drink warmed sake, it will taste sweeter. Miyoshikiku is a sake brewery which has established in 1889. It located upstream of Yoshino River which is one of the three largest rivers in Japan. They use water for brewing from ground water of this river. Great name and a great package design as well! "Quite different from ordinary sake! "… in a good way. You probable like it a lot. "Zangai" tastes just like mild pineapple juice from Tropical Island so quite unique taste of sake. You don't feel that you drink sake because of this tropical tastes. It has unique package design, name and taste. You can eat ice cream together with this sake just like liqueur. Hananomai brewing is established in 1864. Year of 1864 is 11 years later from Perry has reached Uraga, 4 years later from Sakuradamon Incident, 3 years before Taiseihokan (the restoration of the Imperial Rule). So that during Bakumatsu. This brewery exports sake to the USA and Singapore and has a good reputation in the rest of the world. This time we'll show you "Chobitto Kampai (for a mini "cheers!" moment) which made of only rice, koji and water. It tastes like Champagne. The shape of the bottle and name is cute looking. There are many kinds of tastes such as melon, strawberry or blue berry and others. You can taste sweets just like champagne and alcohol content 6%. Lightly carbonated sake for easy drinking. It also nice for the type of person who usually doesn't drink sake. Umenoyahonpo was established in 1893. Small amount and high quality. They are committed to local sake from Yamato. They are not only keep tradition but also propose a novel way to enjoy sake. Developing sake to attract young generation and people all over the world. This time we'll show you about light cloudy carbonated sake " tsuki usagi" . 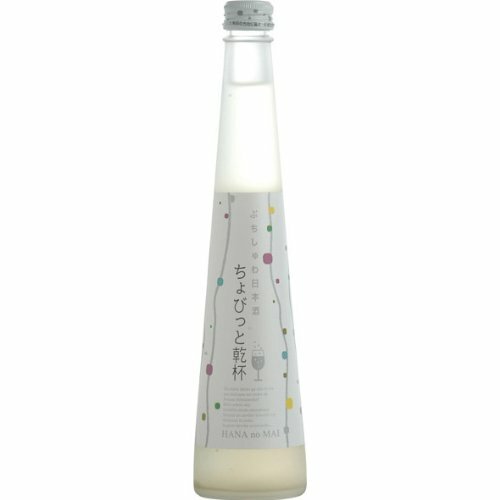 This sake undergoes a secondary fermentation (naturally carbonated by yeast) in the bottle, which gives naturally fine bubbles. Elegant fragrance and fine taste are the charming points of this sake. It taste good with Japanese, French, Italian, and Chinese …every cuisine.